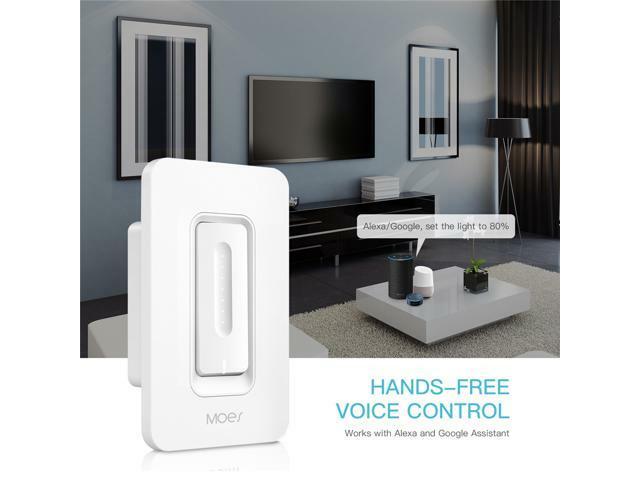 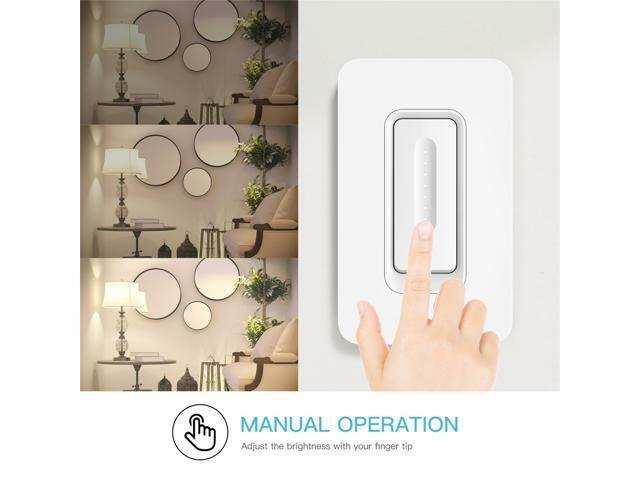 Set the ambiance of any rooms and control your lights from anywhere with Moes Dimmer Switch,The smart dimmer light switch also a normal switch,simply touch the switch to dim or brighten your lights. 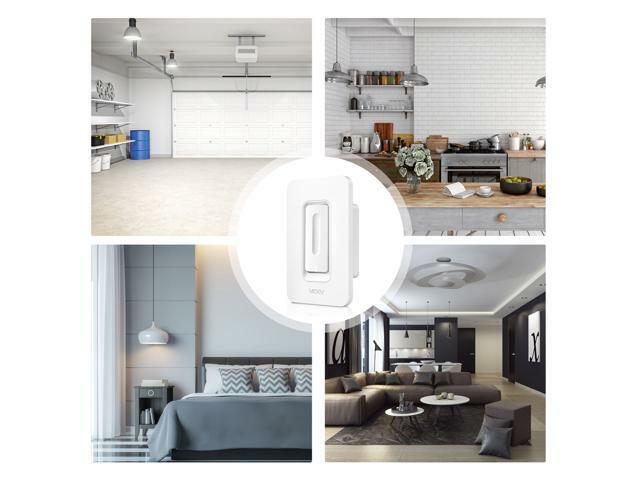 1.Dimmable:Adjust the brightness via the Dimmer or your phone,works with Amazon Alexa and google assistant,to dim/brighten or on/off your light,just say it to your echo/google home. 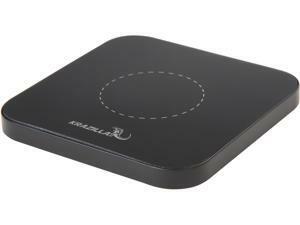 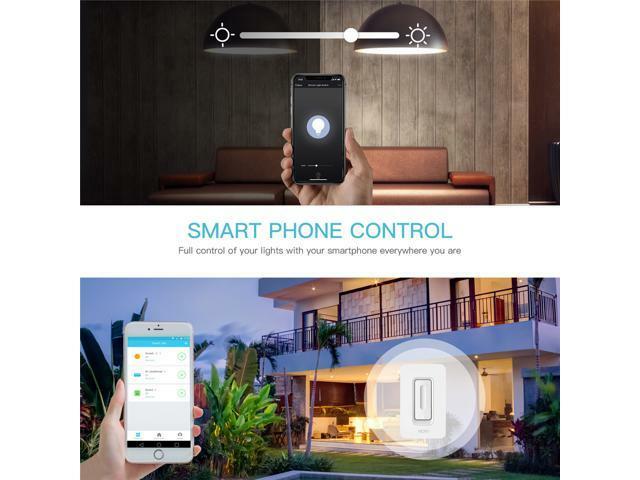 2.WiFi/4G Remote Control:Control your lights using “Smart Life” APP(iOS or Android) from anytime or anywhere.The APP can be easily shared to your family members.No hub required. 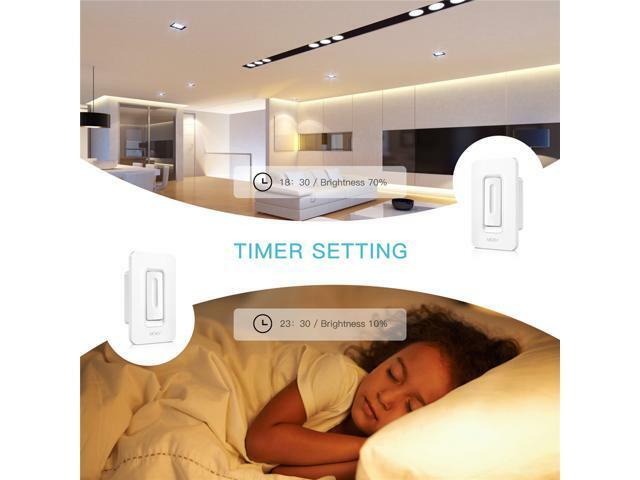 3.Schedules:Use schedules to set your switch to automatically turn on and off while you’re home or away.You can even sync lights to adjust with the sunset and sunrise. 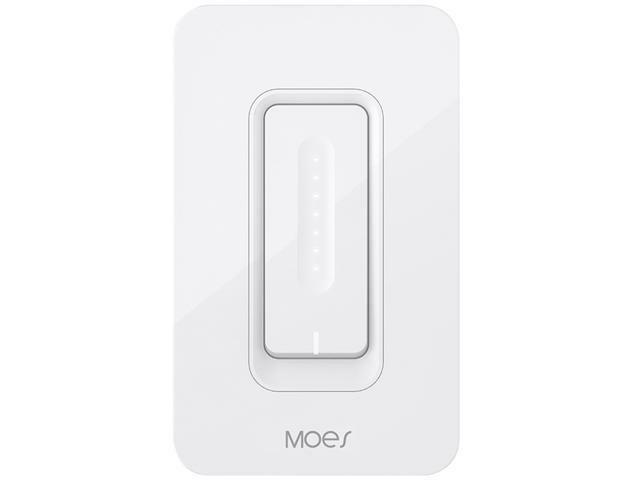 4.Optimize Your Light:Moes dimmer will calibrate to the bulbs you’re using to provide the maximum amount of dimming range with no flickering. 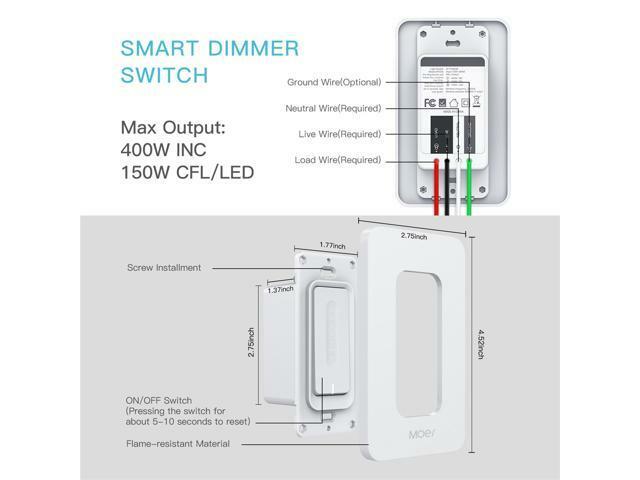 5.Note:Support any dimmable light bulb--Max Wattage:400W incandescent,150W CFL or LED,works in a single-pole setup only(not for 3-way setup),Neutral wire required.FCC certified,60-DAY Money Back Guarantee LIFETIME WARRANTY,2 or 3 Gang Switch Faceplate ASIN:B07GF861K9 For any problem please feel free to contact us. 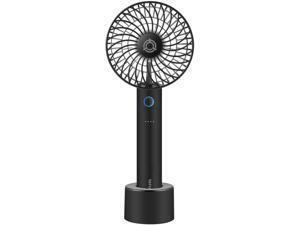 This item is covered by MOES Return Policy.